Each year at this time I go through a bit of lamenting about the timing of the Christian observance of Holy Week, that eight day stretch from Palm Sunday to Easter Sunday in which we especially remember the significance of Christ’s redemptive events. In my locale, Spring Break always occurs during Holy Week which means that a chunk of families are typically gone. What is more, March Madness is happening in which an even bigger slice of people are glued to their televisions watching or their smartphones live-streaming the games. As a pastor, sometimes I feel a bit like a voice crying out in the wilderness wondering if anyone can hear me. Yet, the reality is that remembering the person and work of Jesus, observing his teachings, and seeking to follow him in all things is an uphill climb throughout the entire year when faced with the rest of the culture’s manner of keeping time and observing life-habits. For most people, it is not the popular thing to do to be on fire for Jesus; it is not the easy to do to radically observe Jesus in everything. But maybe this isn’t such a bad thing, after all. Maybe all of this helps us to be quite intentional about living for Jesus and remembering him. Perhaps it is a unique opportunity to follow Christ each day equipped with a plan and a prayer to seek God through our work, our families, and even our churches. Maundy Thursday marks three significant events in Christ’s last week: his washing of the disciples’ feet; his institution of the Lord’s Supper; and, his new commandment to love one another. Good Friday marks the death of Jesus Christ. It is “good” because his death means redemption for the world. We especially remember why the cross is so very important, that it is the once for all sacrifice to end all sacrifices. There is now eternal forgiveness. Easter Sunday is the culmination of all the expectations of God’s people, and the fulfillment of all God’s promises to them in Christ. We rejoice, celebrate, and renew our love and commitment to God for raising Jesus from death. His resurrection means new life for us. 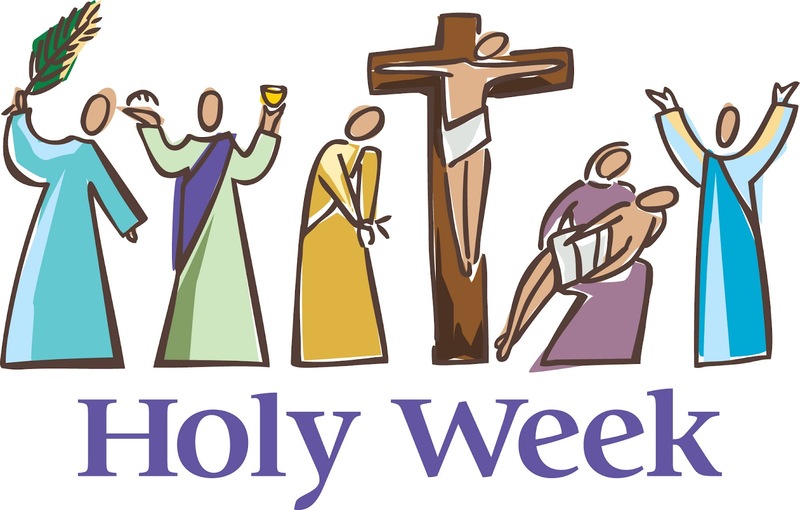 Observing Holy Week can take the form of attending special church services; the opportunity to read through one of the Gospels over the course of the week with other believers; or focus on the passion narratives in each Gospel. For the Christian, these are the fundamentals of our faith, the base upon which our lives are constructed. We return to these again and again so that for the entirety of the year we can live in careful devotion to the Savior who has brought us salvation from sin and offers new life. Holy Week is an opportunity for the church to remember and give thanks with both quiet gratitude and loud shouts of praise, with solemn reflection and expressive response. There is no time like it in the year.